Globalisation and consolidation mean that new, hidden risks can stop your natural resource company from maximising returns. 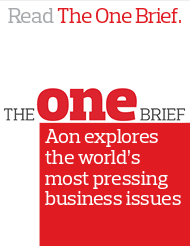 Aon's natural resources risk management team can help your organisation identify, assess and mitigate these risks. With Aon, you can benefit from the expertise of dedicated natural resources professionals. We understand the unique environments in which natural resource companies operate. And we are experienced in controlling the cost of insurance cover and minimising the financial impact of exposures inherent in natural resource operations.